No matter how old you are, there is a hipster in all of us. To appease the monstrous hipster urges like eating avocado toast or hanging out at your local coffee house, you can try your hand at upcycled furniture. It sounds a lot more difficult than it is, believe me. But before you dive right into the world of upcycled furniture, let me go over what exactly it is, how to do it, and what you will need to make it happen! So, upcycled furniture is probably a term that a lot of you are very unfamiliar with. Bascially what upcycling is, is the process of transforming by-products, waste materials, useless, or unwanted products into new materials or products of better quality. When looking at upcycled furniture, it basically is like taking that old, battered desk you have in your basement and turning it into something that you can actually use. If you are planning on doing this yourself, awesome, but it does require a bit of creativity and thinking outside the box. There are tons of ideas out there, like one uses an entertainment center and turns it into a laundry station. You can pretty much upcycle anything around you. Got an old dresser? Turn it into a shelf or a game table. Did you get an armoire from your grandma and don't know what to do with it? Turn it into a spice pantry. The only limitations that upcycled furniture has are those of your imagination and creativity. 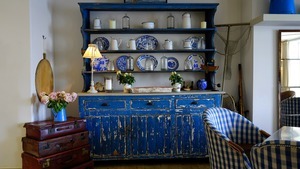 If you are big on home decorating and keeping up or even head of the trends, then upcycling is definitely for you. The beauty of reusing wooden items is that the wood often still displays markings of paint or etchings from its previous use in life. Whether it is taken from a boat, or even a door, each piece is unique. What makes upcycled furniture so awesome is that absolutely no piece will be the same. Each product will be different and look different, making you the only person with that specific product. Not only that, but it encourages others to take up the hobby by wanting them to make something just as cool and unique. That is the beauty of creativity, its highly contagious. Making your own upcycled furniture can be a lot simpler than it may seem. While there are some awesome and professional looking products on the market that you can buy, I find it much more fun to do things yourself. Plus, it tends to be a lot more cheap as well. So if you are the creative type and want to try something fairly new, here are a bunch of great examples of things you can try! Crib into Play Desk- If you have kids who have recently outgrown their crib and are wondering what you can do with the crib now, this is a great and creative idea. Remove one of the long sides of the crib, take out the padding, and replace the base with a chalk board. And voila, you have a play desk that your kids can draw all over and even do their homework on. Ladder into Clothing Rack- Are you one of those people who keeps absolutely everything? My dad is and he still has one of those old wooden ladders in our basement. You know the type, it probably, definitely can not hold anyone's weight, yet somehow it still does. Well, if you are looking to get rid of it and upgrade, you can upgrade the ladder into something new. Give it a fresh coat of paint, get a few screws and two reinforcements, mount it on a wall and you have your very own unique place to hang your shirts, pants, and whatever else. Mason Jar Lighting- This is something you almost have definitely seen in countless restaurants and cafes. Turns out, it is probably the easiest upcycled furniture idea out there. 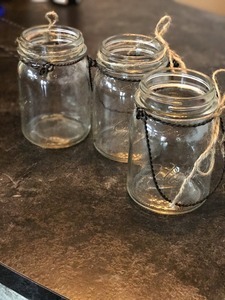 Grab those unused mason jars you know you have just laying around, get a set of shadeless, hanging lights, cut a hole in the lid for the lights to fit into, and you are done! Ok it may be a bit more difficult than that but still. Ladder to Shelves- Here is another ladder idea. If you still have one of those smaller fold out wooden ladders, you can turn that into some pretty cool looking shelves. Just find some small sized drawers, modify the space in between the front and back legs of the ladder and slide in the drawers. This would work really well as a craft shelf to hold all of your arts and crafts supplies Or really for whatever you want, it's up to you. Shelf Lockers- While a lot of these ideas are about turning other things into shelves because honestly, its wicked easy, here is one that turns a shelf into something else. If you have kids who are in primary and secondary school, keeping all of their things organized can be hard. How many times have you had to run out to the school to drop something off that they forgot at home? So, to keep all of their school things in order, grab that shelf or bookshelf you haven't used in years, turn it on its end, give it a fresh coat of paint, add small legs on the bottom, add a hook on the inside and mark each section with your child's initials and there ya go! The Yard Work File Cabinet- Whether you are a man or a woman, keeping the work tools organized can be a hassle. So, if you have an old file cabinet that is either empty or full of junk, take out the drawers, turn it on its back, paint it to your liking , place some hooks and stuff on the short end and proceed to place your gardening and yard work tools in the slots for easy access. Canoe Couch- One of my personal favorites, the re-purposed canoe. If you have an canoe or even a raft that either you don't use anymore or maybe doesn't even float anymore, this is an awesome idea. Turn it on its side, or even at an angle, place some stoppers on the back to hold it up, add a seat base on the inside as well as cushions, and you are good to go. This is awesome for an outdoor patio, especially if you live near or on the water. I know my dad, being a boat owner would love this idea. There are a ton of advantages to upcycled furniture that do not only benefit you and your home, but also your local businesses and even the environment! Essentially the benefits of upcycling are directly related to recycling. You're saving money, saving waste, promoting local business that may sell these products, and so much more. In terms of the environmental impacts that upcycled furniture has, they range from saving materials from landfills to reducing the use of natural resources. 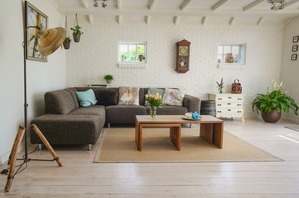 By reusing old furniture, you are saving that furniture from ending up in landfills. In a landfill, it will just there and break down. However, it may take YEARS for that to actually happen. Until then, it is just taking up space and polluting the land by creating more waste. In addition, by reusing old and somewhat worthless furniture, you are saving new furniture from being made. This is great because it saves the increased use of our natural resources, which has even more reaching benefits. These can include lower carbon emissions, lower levels of overall pollution, less use of materials, less deforestation, less killing of livestock and also keeping of livestock, and so much more. There are also many social and economic benefits to upcycled furniture. Not only is making your own upcycled furniture cheaper than going out and buying new products, but if you plan on buying upcycled furniture, that can help promote whatever local business you are buying from. Plus those furniture items are typically still cheaper than buying brand new items. Not to mention you are also supporting the artisanal work of those craftsmen as well. Also if you are looking for a place to support artisans and buy inexpensive upcycled furniture, Etsy is an amazing resource to use! Lastly, upcycled furniture has it's advantages for you personally. Making this kind of furniture yourself is a great way to use your creative powers and even improve your skills. Also, making these with someone else like your kids or partner is a great bonding experience. Plus, you'll be left with a one of a kind product that only you have, and that is just awesome. Upcycled furniture is an awesome way to convert old, useless furniture into something that you can actually use again. It saves on money, resources, and allows you to have yet another creative outlet at your disposal. Or if you just enjoy the style, you can find many items for sale at local stores or online at Etsy. Provides you with a great way to support local craftsmen and artists, while getting a great and unique piece for yourself. If you enjoyed this walkthrough of upcycled furniture and you are interested in learning more about other topics, you can check out the many articles on Green and Growing. Ways to stay green, buyer guides, interesting tid bits of information, whatever you find interesting when it comes to caring for the world we live in, you can probably find it on Green and Growing.